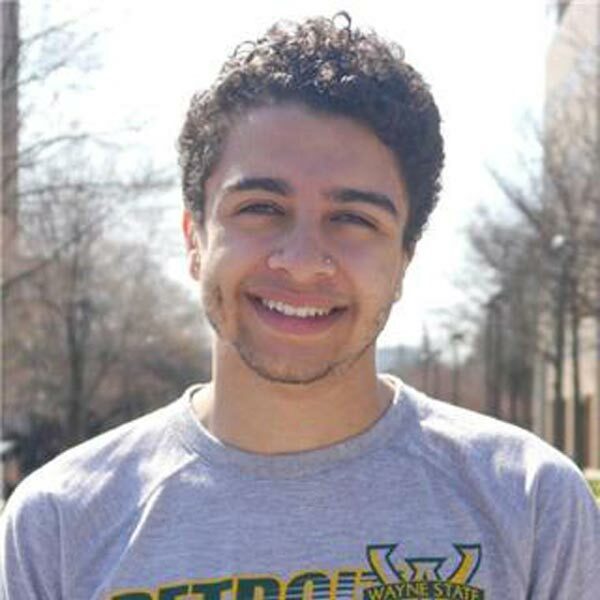 Wayne State students, professors, faculty and even the community recognize the friendly face of Tevin Monroe. With a passion to see everyone as more than just another face, Monroe advocates his beliefs to love everybody for who they are, not who they appear to be. Leaving his hometown of Kalamazoo, Mich. Monroe knew in his heart that Wayne State was the university for him. There was something about being in the D that excited him. Currently, he studies nutrition and food sciences and plans to minor in English. Monroe’s impression of WSU has always been positive. As a student assistant for the Office of Marketing and Communications and a Warrior Guide for the Office of Undergraduate Admissions, he is able to expose himself to a variety of different atmospheres. In addition, Monroe is humbled and fulfilled knowing that he can make an impact on a student’s choice to attend WSU by simply expressing his love for the university throughout his tours. It’s very rewarding for Monroe to be able to offer comfort in these times of decision making. After Monroe earns his bachelor’s degree in May 2017, he plans to attend chiropractic school. He is thankful for the amazing opportunities Wayne State has already offered him and looks forward to many more adventures.